Best Family Card Games - Fun! 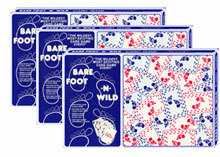 In your search for best family card games, don't neglect to check out BARE FOOT-N-WILD, the card game with a twist. With specialty cards and exciting new terms that are easy to learn, you won't get bored with this game. This card game is good for ages from 12 to 112! Clothing cards consist of shoes and socks, and "hands" and "feet" are played with glee. 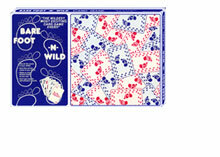 Don't forget the "BARE FOOT shuffle, a special way of dealing that means nobody has to actually shuffle the cards! There's something new and exciting with every hand...and foot! 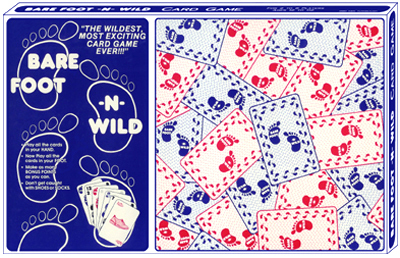 BARE FOOT-N-WILD Card Game is one of the newest, wildest, most exciting family card games ever created!